Neighboring is a community-building art project led by myself and fellow designer Catherine Oldershaw. The project invites Pittsburghers, both artists and non-artists alike, to create art or artifacts that explore what it means to be a neighbor. Neighboring will culminate in a juried gallery exhibit at Late Space, where select works will be on display and all works will be viewable digitally. Together, we will explore the relationships we have with our neighbors now, and what those relationships might look like in the future. 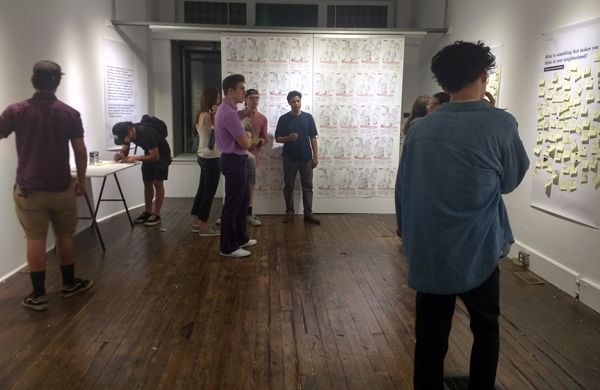 We launched the project at an interactive gallery show at Late Space on September 7th, 2018. 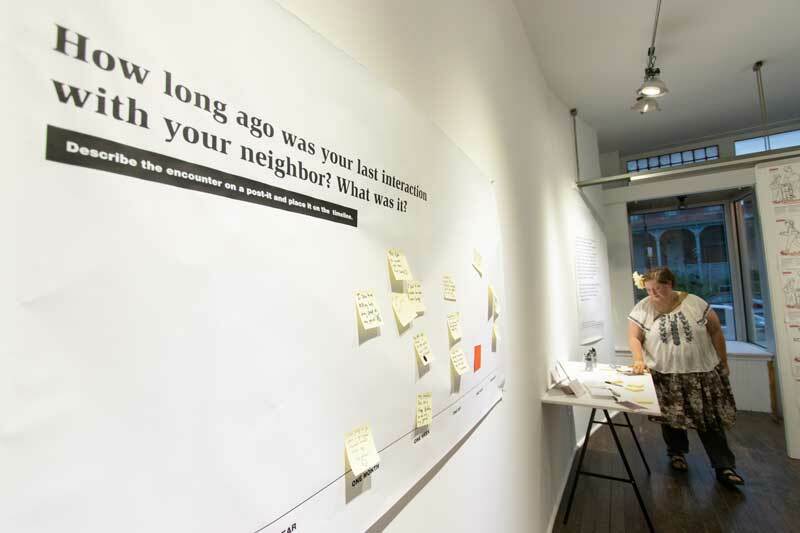 Using post-it notes, markers, and whiteboards, visitors were encouraged to share how well they know their neighbors, when was the last time they interacted with them, and how the idea of interacting with their neighbors made them feel. 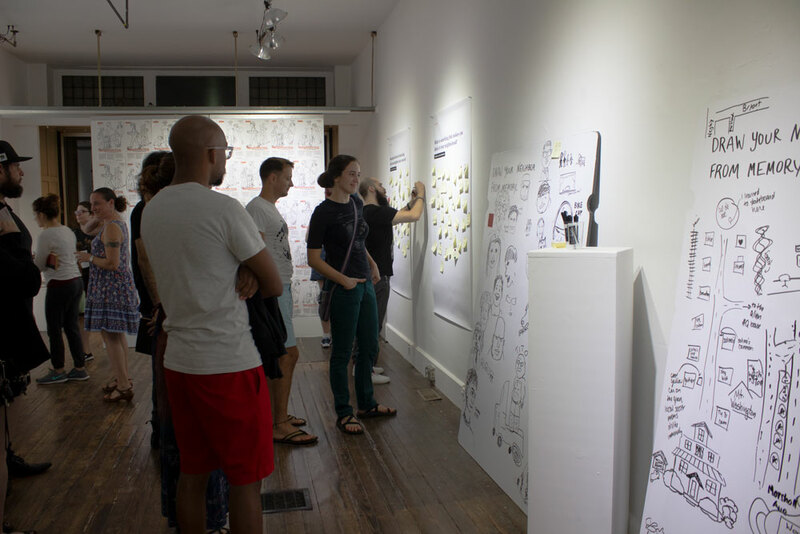 We were delighted to see how many people engaged with the project and by the end of the night the room was filled with post-its and all whiteboards were crammed with drawings. Now we are encouraging Pittsburgh residents to spend some time with someone they live near (but not a a relative or classmate), and then mak e art or an artifact that reflects that interaction. Work can be abstract, representational, data-driven, or something else entirely: an artifact, sketch, photograph — anything that feels meaningful to the creator and the relationship formed with their neighbor. Collaborations with neighbors are encouraged. I invite you to submit online at www.late.space/neighboring by January 15th, 2019. 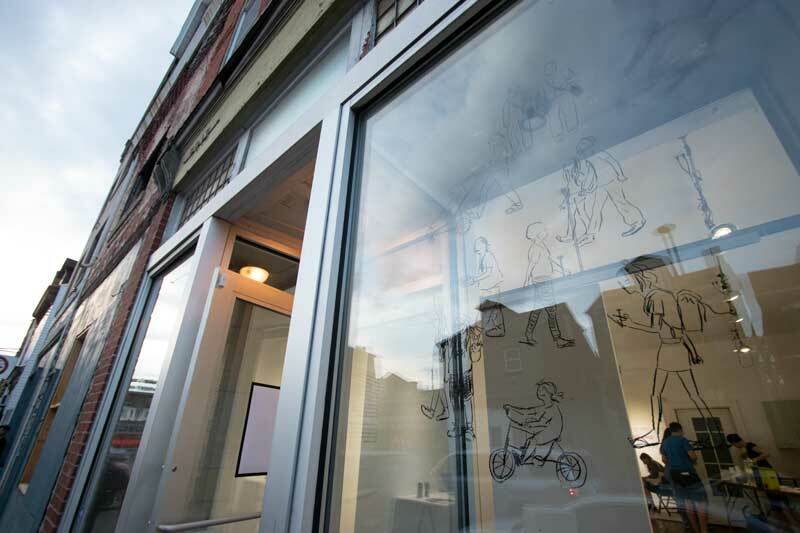 Jury-selected submissions will be exhibited at Late Space Gallery during the month of May. The show will begin with an opening party on May 3rd, 2019 during Unblurred, the first Friday art walk on Penn Ave.
All submissions will be collected for public viewing online, with the hope of making a comprehensive printed catalog should funding permit. Learn more about Late Space Gallery at www.late.space.